What if all the "labels" of disabilities are distracting us from an awareness of what's really going on? Discover a different perspective and new possibility with Dr. Dain Heer as he talks about people who have been labeled with disabilities. The children coming in to the world now are far more willing to be aware than ever before. They are more willing to change and they have a different reality that we have been unwilling to see. What if we acknowledged the consciousness of the children? What if all the "labels" of disabilities are distracting us from an awareness of what's really going on? 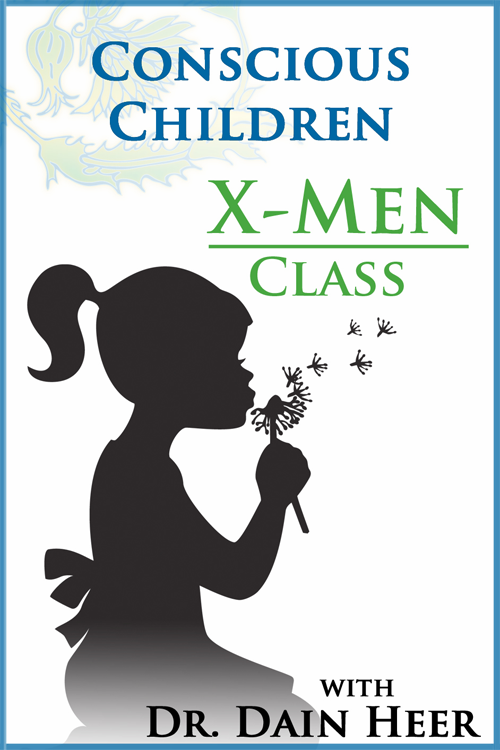 Children labeled as disabled actually have greater talents and abilities than their "normal" counterparts - just like the X-Men (the movie). What if kids were more psychic than we have been willing to admit? What if we acknowledged our kids for what they know? What would it take to expand our awareness of what else is possible for them and for us? This 1.5 hour class is recorded at the No Mind festival in Sweden. It is a unique seminar that offers Access Consciousness tools and processes to show you how to create a connection that works for you and the new children in the world. The world needs those kids. What else is possible if the children got access to their abilities -- and get to learn how they can develop and use them? How can we contribute to that?